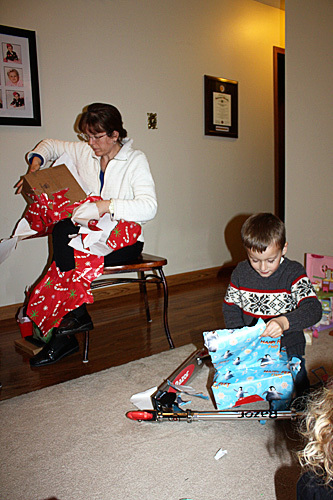 I had my family over for lunch after the kids opened their gifts. I was pretty busy prepping all of the food, but it made for a great lunch and now I’ll have a lot of yummy leftovers this week. 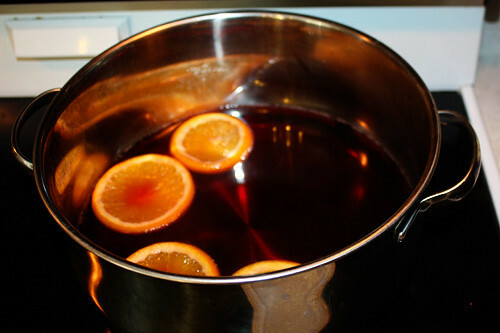 I decided to make the Mulled Wine again, it is a warm wine with a lot of spices. 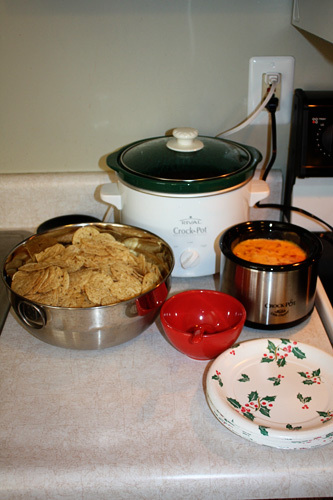 Then in the crockpot section I had a yummy Rotel and Velvetta cheese dip and my warm chocolate cake (all cooked in the crockpot) I make every year at Christmas time. It is so yummy! 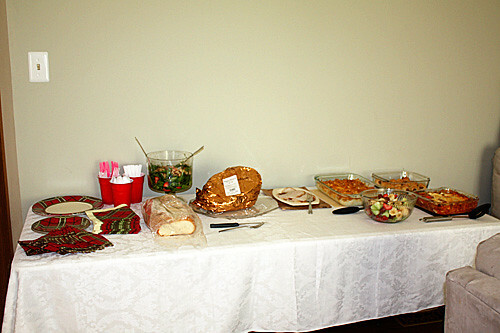 Then, the main food area I had strawberry spinach salad, vegetable tray, honey baked ham and turkey, bread, hashbrown casserole, lasagna, dogs in a blanket and regular fruit salad. Yum! 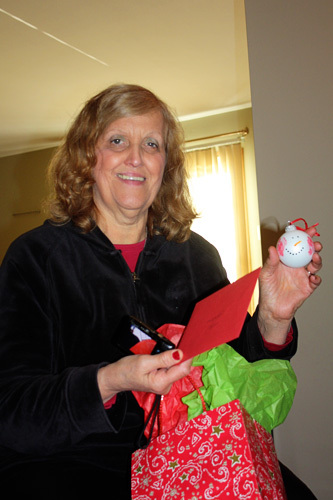 After we ate we opened gifts. I cannot believe I did not get a picture of Nathan with his new Razor scooter with light up wheels from Grandma and Pa, but you can see it laying on the floor here. 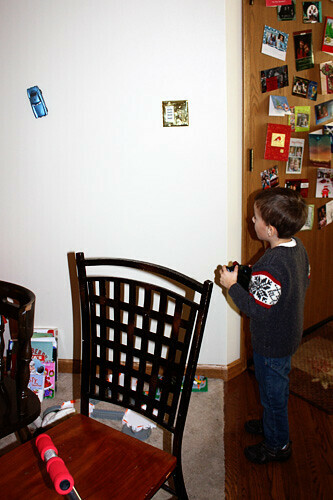 Another one of Nathan’s neat gifts, it is Finn from Cars 2, and the car is remote control and has a vacuum so it suctions to the wall. Let me just say, I will be buying some rechargeable batteries for this toy because it drained 5 brand new AA batteries in FIVE MINUTES! Autumn helping me unwrap my gits, such a cutie. 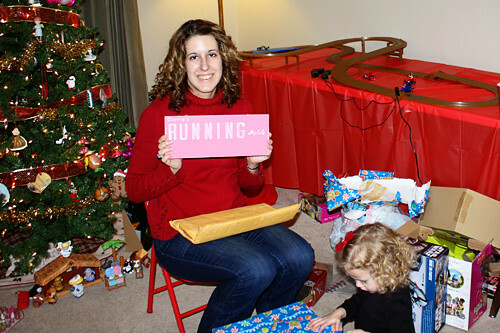 One of my favorite gifts, a running medals wall plaque! Just need to put in the screws, and I can hang it up with my medals. Fun, fun!